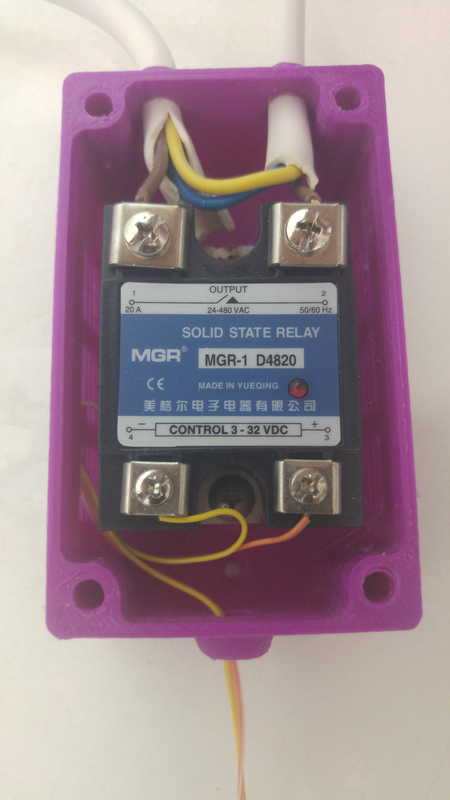 Build the following construction from the relay. 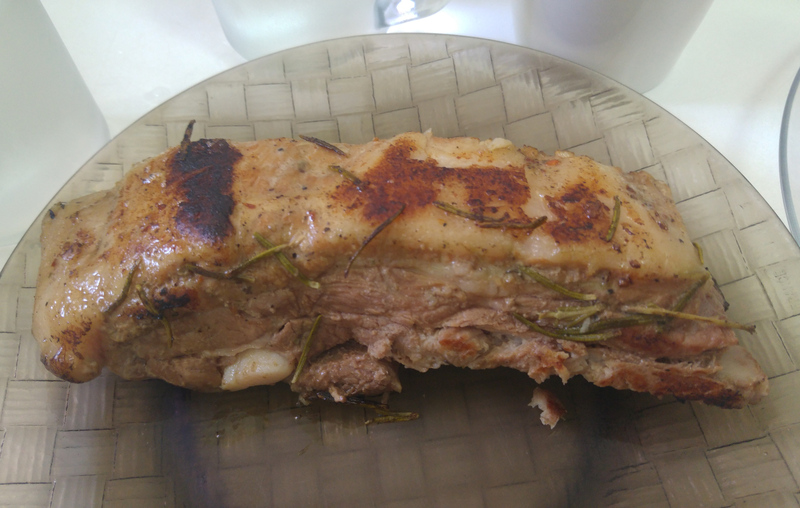 You need phase to go via the relay, and in to the sous vide. Please look at this chart to understand what cable is equivalent in your country. Wire the temperature sensor DS1820 to GPIO pin 4 (you can use one on the screw terminal and another on the jumper slot, the second one is only to make sure you have a working sous vide. 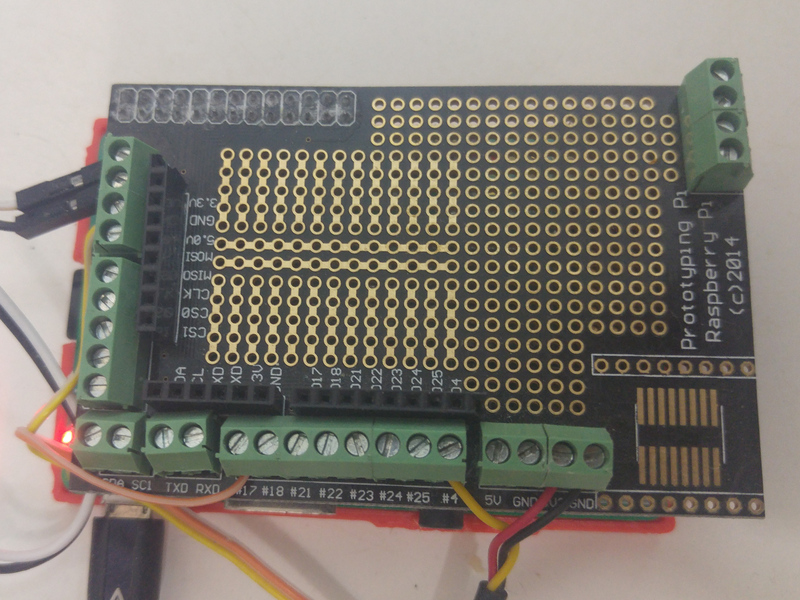 Connect SSR – terminal to ground, and + terminal to GPIO 17 (you can pick other GPIOs if you want). plug the relay in the your power supply and plug your slow cocker to it. DANGER: Make sure your connections are right with a multimeter before. If you are unsure don’t do this. Mains power can kill! I have built a distro called CraftBeerPiOS based on CraftBeerPi 2.2. Why 2.2 and not 3? Because there is an issue with the license. I would have picked something else, but Manuel the developer clearly writes in the README that CraftBeerPi is open source. Its dodge I know, I would welcome someone rewriting something like this. I would help build a distribution. I found that telegram was much faster and handy while I am in the kitchen, or if I want to turn the sous vide on before I come home. 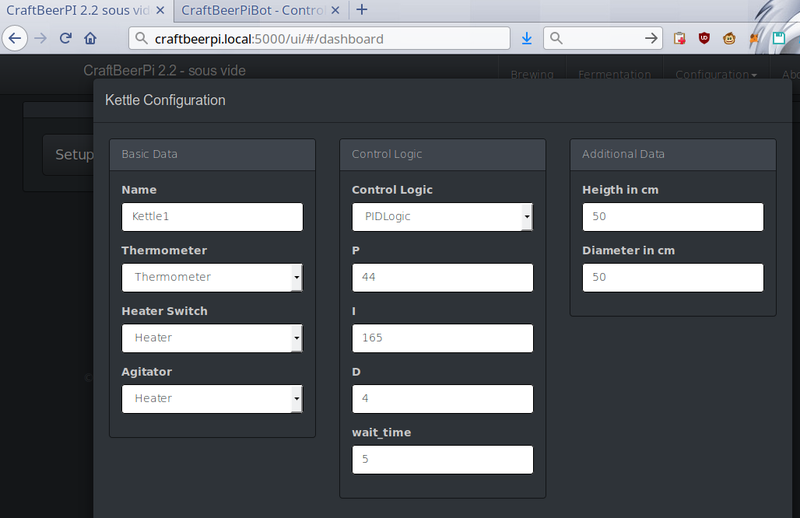 So I warmly recommend it over CraftBeerPi’s interface. I will mark all its step as optimal in case you don’t want it. All you got to do is just flash the img to the Pi. Which can be downloaded here. It has both CraftBeerPi and a telegram bot pre-install. The bot is written by me and is open source. [optional telegram] Create a telegram bot using the botfather here is an explanation how to do this. Its really easy – basically you text a bot the command /newbot, you are asked a few questions and get an API token, you place this token in the file /boot/config.ini where its asked for. You might want to attach a screen on first boot and make sure everything went well. 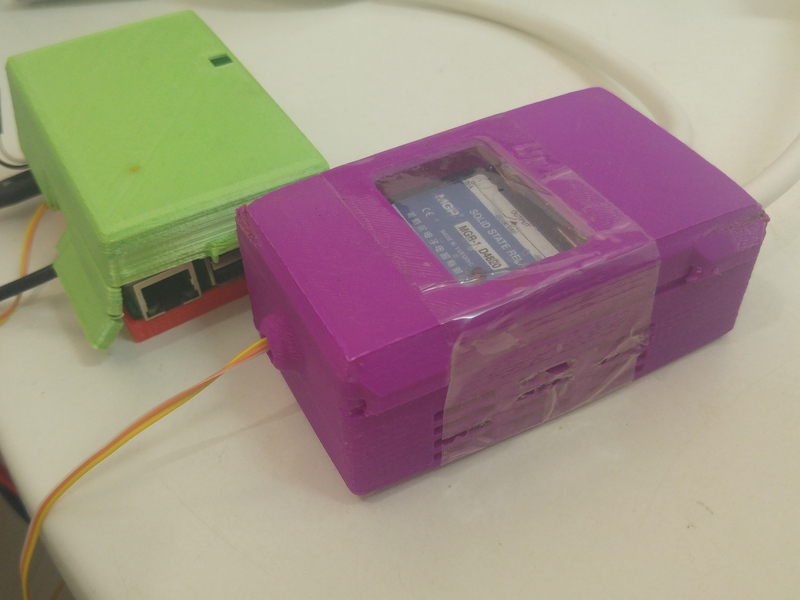 If it did, you should have on your network a service on http://craftbeerpi.local:5000 .If you can’t find the hostname try the Raspberrypi’s IP address. Depending on your network router it might not work. Follow on that link the wizard to set up your temperature, relay, and kettle. 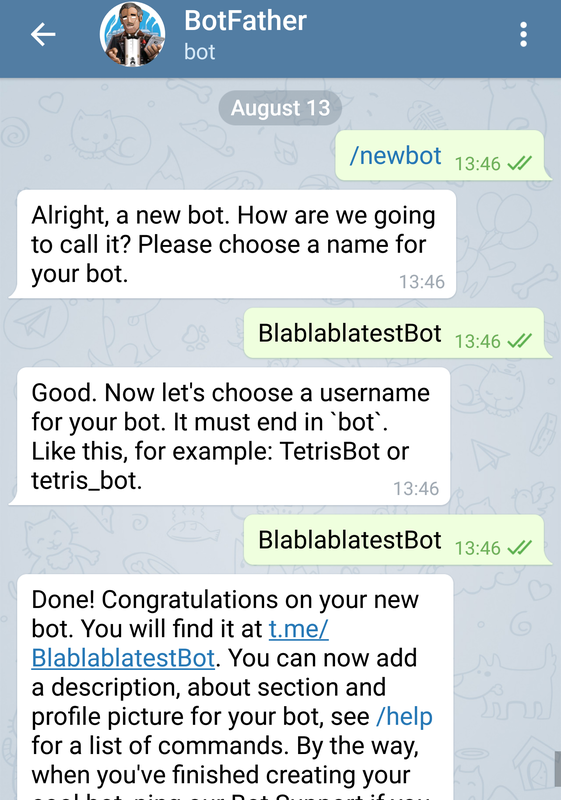 [optional telegram] Text your new telegram bot the command /start this should make your telegram user appear in the telegram control panel located at http://craftbeerpi.local:5001. 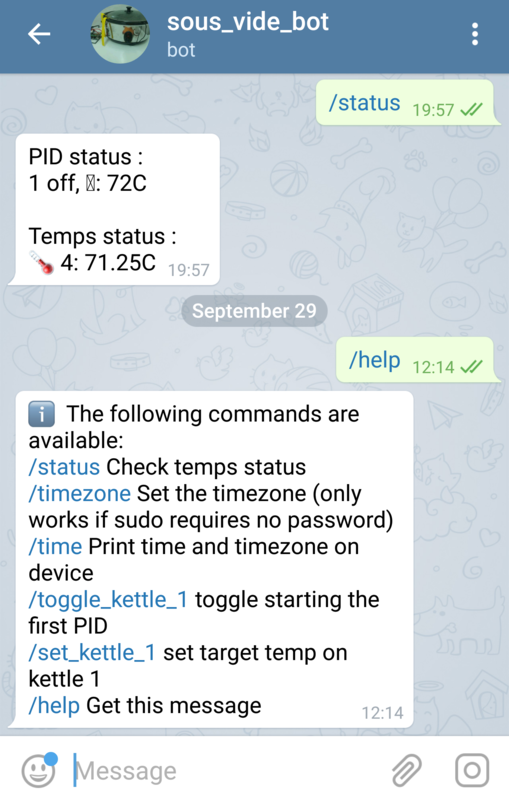 [optional telegram] Set yourself as an admin, otherwise you can’t control your sous vide. This is for security reasons. [optional telegram] Send /help to the bot to see the available commands. You can set the sous vide temperature, turn it on and off. Thats it, enjoy! Share recipes! 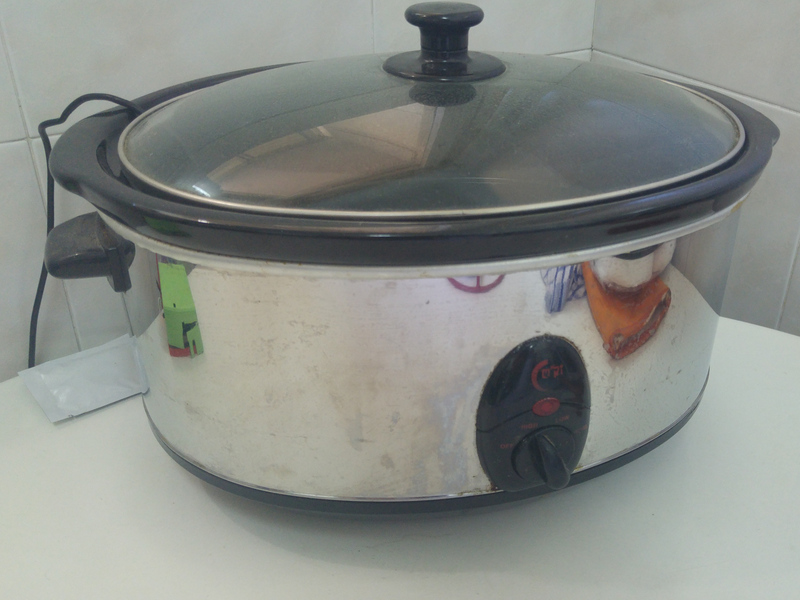 Even if the relay burns out, the electric cooker has all the safety mechanisms it comes with. Its designed to be left alone. Same goes for the SSR, its the same hardware your fridge uses, you leave that on when you are far away. that’s also pretty neat, although no wifi it has low price tag. Do you have photos of the mains connection? Or photos on general?